Can I be really honest? I thought yesterday was the worst possible day for me to be starting the Happynesshub toolkit. It was my first day back teaching after 11 months maternity leave and I had to get up at 6 am to drop my baby son off at his grandma’s. My house was a complete tip and my husband had got some major deadlines looming (he is a professional photographer). Happiness? Today? You had to be kidding me! I was too stressed to be happy today. If I merely survived the day it was going to be an achievement! However, at the end of the day, as I climbed into bed, my heart heavy and my eyelids heavier I thought: ‘”No, hang on a minute! You have to make some time for you!” So I did. I clicked on to the email and watched Sally’s Day 1 video about gratitude. It started to inspire me. I reached for my oh so beautiful pad which in itself makes me happy (I’m a stationary freak) and began to reflect. I reflected on my day from a completely different point of view. As I began to remember some of the lovely things that had actually happened to me today – like how my head teacher welcomed me back to the team, how a little child said “this is fun” during my lesson and how my little boy’s face lit up when he saw me at the end of the school day – my mood began to lift. I was loving this, it was reviving me! The list began to flow. Stop at 3? No way! I was getting a warm, fuzzy feeling from reflecting on the positives! I was grateful for the torrential downpour of rain that I watched while warm and cosy through an open window while drinking a steaming cup of coffee, sharing a funny story with my best friend at work and last thing at night feeling the cool cotton of my bed sheets on my tired, aching legs after work. I was feeling so much more content. Such a simple exercise had changed my perspective on my day completely. 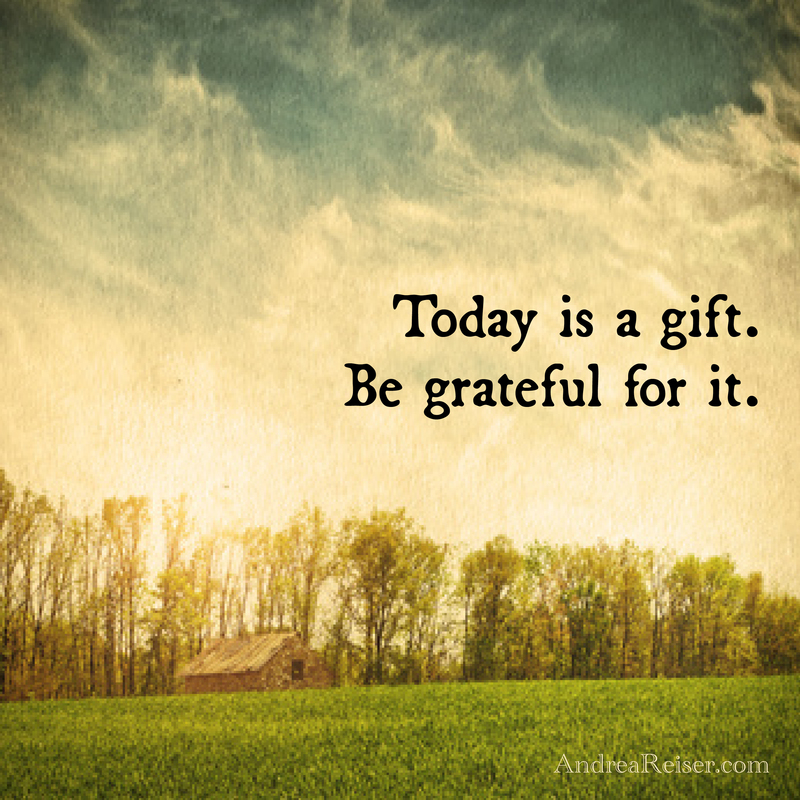 We have so much to be grateful for we just need to allow ourselves the time to really feel it. Thank you Happynesshub, Day 1 was a success and I was wrong, it was actually the best day to be starting my journey. Rachel, your post is brilliant. Thank you for sharing that, because my day (Day of Gratitude) was one of those rare ones that I felt that my daily cultivation of gratitude has dissolved away. Not a good day at all, in other words. And then, like you, right at the end of it, the moment you put the pen to paper, something magical happens. What you said resonates with me so well. Thank you for sharing. Love your writing! Lovely post Rachel – definitely food for thought. My Monday started out ungrateful. It was quite a stressful day (and I hadn’t even just returned from maternity leave). But I guess those are the days when we most need to focus our minds on those things that we are grateful for. Totally agree. It can be hard to find the motivation to put pen to paper but when you do it is amazing how much there is to be thankful for.